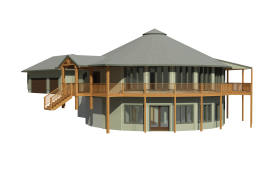 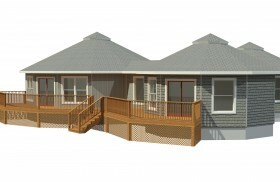 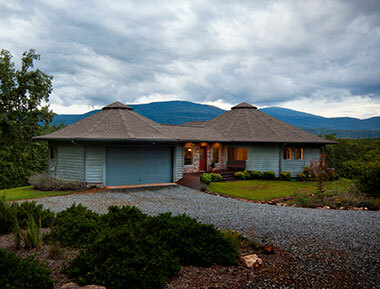 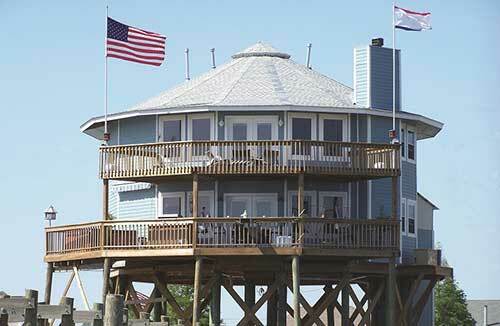 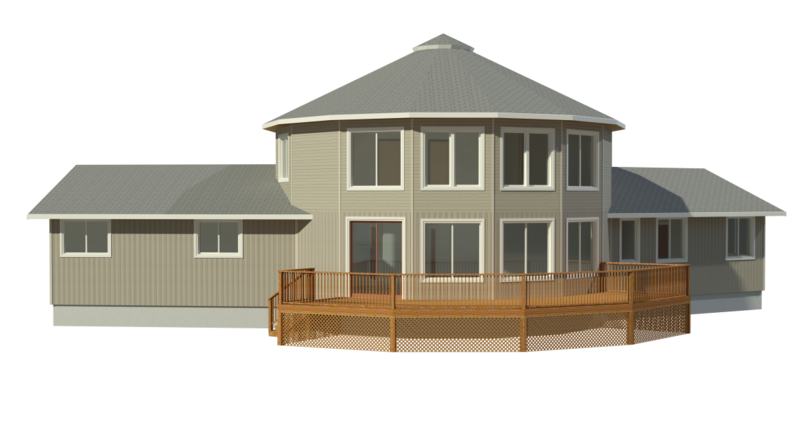 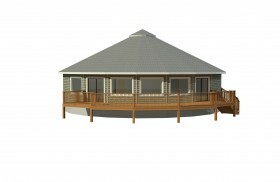 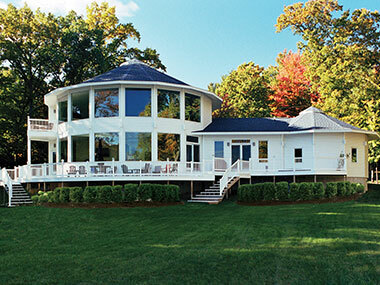 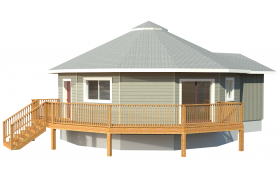 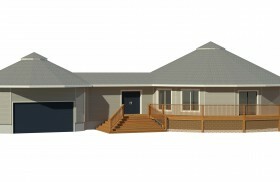 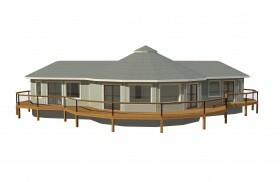 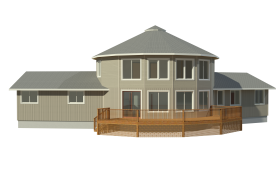 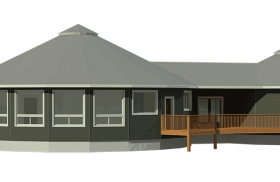 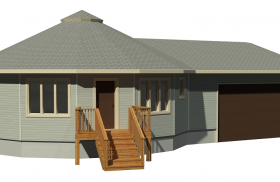 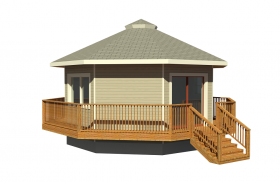 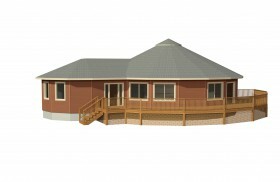 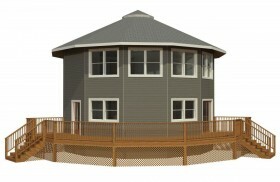 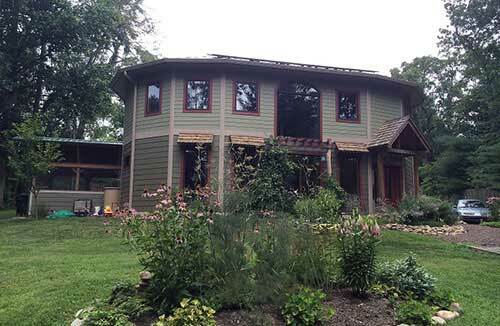 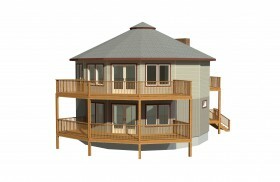 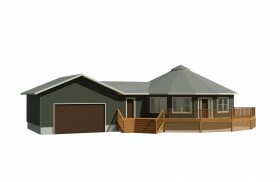 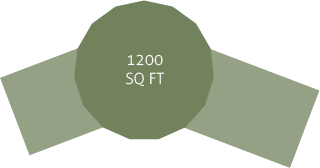 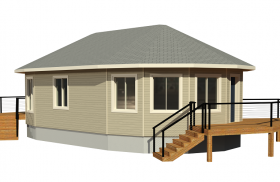 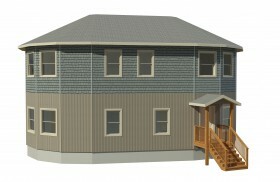 One of our most popular options in a multi-level prefabricated home is the open-to-below. 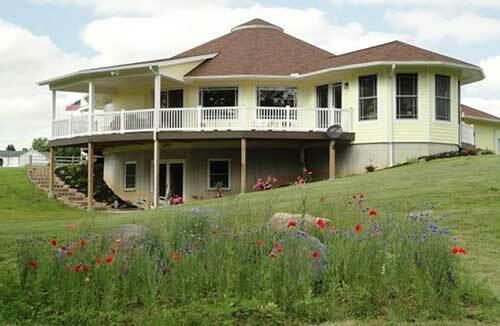 It makes the home feel even more spacious and open. 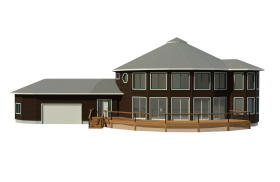 This homeowners chose to add two different sized wings: one for an attached garage, the other for a master bedroom suite. 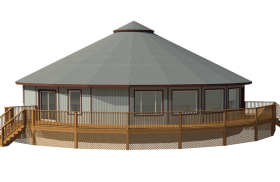 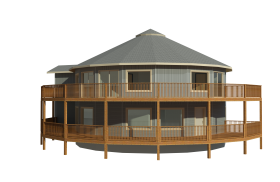 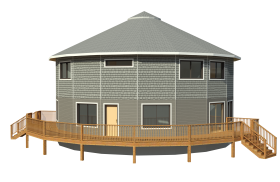 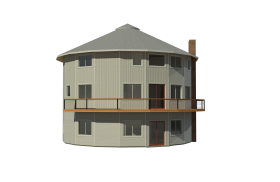 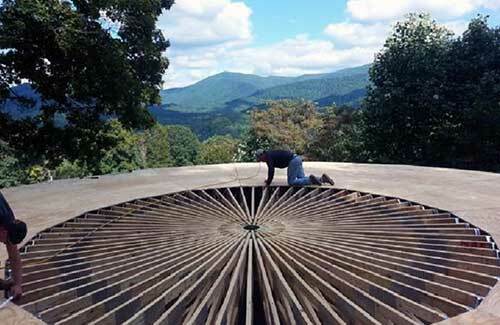 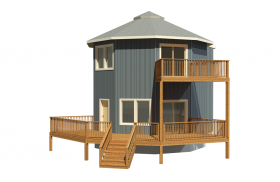 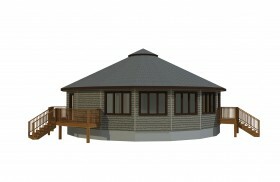 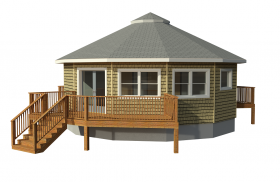 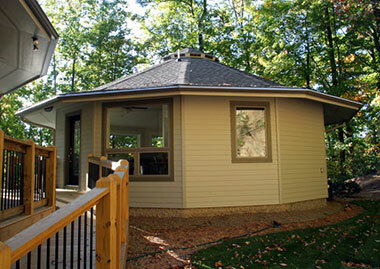 With our round homes, the possibilities are endless.